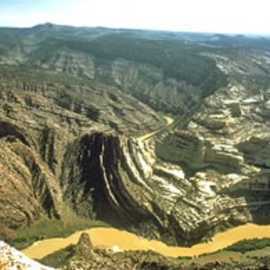 The largest quarry of Jurassic Period dinosaur bones ever discovered is on this site 20 miles east of Vernal. A year-round visitor center has been built over the quarry to protect the fossilized dinosaur bones. 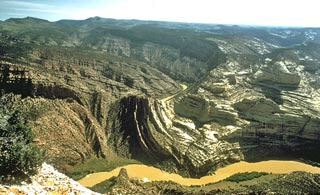 Dinosaur National Monument is also popular for whitewater rafting on the Green and Yampa Rivers.